Vote my Name to christen Everjets new Airbus A320! Batize o novo avião da Everjets. Seja original e ajude-nos a escolher um nome para o novo avião da Everjets. Joseph Costa (Caniço, Santa Cruz, Madeira Island, Portugal, February 22, 1909 – Corning, New York, United States of America, November 11, 1998) was a distinguished Luso-American aviator, who achieved high international notoriety with his flight between the United States and Portugal, in 1936. Commonly known as Joseph A. Costa or Joe Costa, he settled in Corning, New York, and was a pilot, flight instructor, FAA inspector, airplane mechanic and reseller. He founded an aviation company, the Costa Flying Service, operating in Corning–Painted Post Airport, until the early 2000s also owned by Costa and known as "Costa Airport" or "Costa Field". José Costa made aviation history when in 1936 he attempted a transatlantic flight from the US to Portugal in his Lockheed Vega. An early enthusiast of aviation, he dreamed about flying in his hometown in Madeira, thrilled by the seagulls' graceful flight. 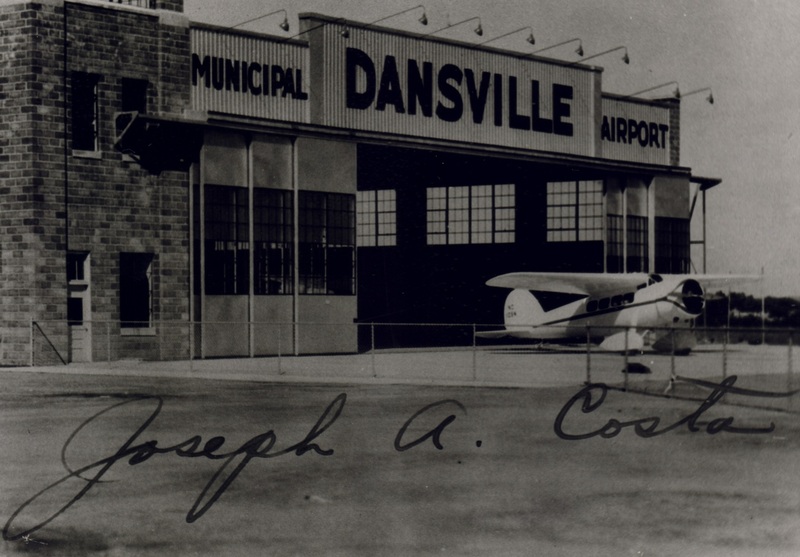 Costa was the first resident of Corning to get a pilot's licence, obtained at the Syracuse branch of the Curtiss Wright Flying Service when he was only 21 years old. His flight instructor was Fred. T. McGlynn. After a few hours he flew solo, over the Onondaga lake. After teaching Costa how to fly, McGlynn left Curtiss for the General Electric Company in Schenectady. He was assigned to test GEC beacon equipment and new altimeters. He had been the chief pilot of General Aviation Company, before the acquisition by Eastern Aeronautical Corporation, having then moving to Curtiss. He completed his pilot exam in Binghamton, with inspector Asbury B. Meadows of the Department of Commerce. In 1930, José Costa had become determined to fly from New York to Madeira. At that time he owned an Brunner Winkle Bird A, registered NC834W, which was not capable of such a long flight. His father, John Costa, a railway worker, always provided support for his son's quest. In the next few years he tried to raise money to buy a suitable airplane. The Lockheed Vega was the perfect aircraft for solo transatlantic flights, and was Amelia Earhart's preferred plane. Other models were coveted, like the Bellanca aircraft, the Lockheed Air Express. On July 24, 1935 Joseph Costa finally acquired a Lockheed Vega in New Jersey, registered as NC105N. The Vega model 5, built in 1929, production number 117, was initially owned by Statoil and flown by the father of astronaut Buzz Aldrin. It was sold again on October 15, 1935 to Monroe T. Breed of Corning, NY. According to the NASM record, as of July 13, 1936, Mercury Aircraft, Inc. of Hammondsport, NY, installed additional gas tanks and heavy-duty landing gear from actor Art Goebel’s Vega and oil tanks from Amelia Earhart’s Vega (registration numbers not mentioned for either airplane). The Christian cross symbol, the Portuguese military aircraft marking, was painted on the "Crystal City", despite the plane bearing an American registration. By the middle of 1936 everything was set for take-off, but several setbacks made Costa postpone departure for a few months. The start of the Spanish Civil War caused the US government to block a direct flight to Portugal, due to the risk that a navigation error could lead to a landing in Spanish territory, thus forcing a trip via South America. Furthermore, concerns about flight safety from the authorities forced him to rebuild the engine, get approval for the additional fuel load, and undergo blind flying tests. The flight departed on December 10, 1936 from the American Airlines Field (now Elmira-Corning Regional Airport) bound for San Juan, Puerto Rico, with a stopover in Miami. Bad weather forced him to divert to Jacksonville (Florida), instead of Miami. On December 16 he sailed off to San Juan, Puerto Rico, departing Miami at 9:15 am assuming the risk of having to divert to Cuba or Haiti depending on weather conditions and fuel supply. He had six hours of autonomy, but at 5:30 pm the Pan-American Airways communication system was closed and there was no sign of him in any of the airports covered by Pan Am, Camp Columbia, outside of Havana (now Ciudad Libertad Airport), Santiago de Cuba, and in the Dominican Republic. Pan Am reported the day after that once more bad weather caused a diversion to Dajabón in the Dominican Republic amidst the border definition problems with Haiti. He was jailed immediately, but freed the next day, so he was able leave the country and avoid bureaucratic problems. He arrived in San Juan on December 17. The subsequent legs were to Paramaribo in Suriname and Belém in Brazil. The most complicated part followed, a long flight over the jungle to Rio de Janeiro. Due to fuel exhaustion, gas having been pilfered from one of the tanks, he had to ditch in a field in Serro, state of Minas Gerais, on January 15, 1937. Although he sustained hardly any injuries, the Vega was damaged beyond repair, only the engine being salvaged. He still arrived in Rio at the controls of an airplane, a WACO having been provided by the Brazilian Military Aviation for him to complete the last leg, after taking off from Belo Horizonte. Despite having to abort the journey, he received plenty of attention in Brazil, his feat being widely reported in the news. The local Portuguese community gave him honours,inviting him to visit cultural centres and participate in several events. He returned to the US in May. While in Brazil he had the opportunity to go the "Carnaval" in Belo Horizonte. He soon borrowed an airplane, a 90 hp Kreider-Reisner Challenger biplane, owned by Erwin Smith of Tioga and started flying. The Vega's engine, brought back to Corning, was sought by Howard Hughes who sent his representative to meet Costa. The feat is mentioned in the book "Revolution in the Sky: The Lockheeds of Aviation's Golden Age" written by Richard Sanders Allen. During WWII Costa was a CAA (later renamed FAA) examiner in Kansas and Iowa, evaluating young cadets seeking to enter the air force. His private licences had been suspended in 1941, and was restored only in December 1942. After the war, starting in 1946, he dedicated his life to civil aviation. There was the option to become a test pilot for new aircraft, but he considered it to be a dangerous job and declined the opportunity, focusing instead on developing the Costa airport and flying services. In 1993 the Empire State Aerosciences Museum gave him the Aviation Pioneer Award "in recognition of your outstanding contributions to the development and advancement of General Aviation." In 1994 the Rochester Flight Standards District Office of the Federal Aviation Administration gave him a Lifetime Achievement Award, in recognition of his 65 years in aviation. Also in 1994, the U.S. Department of Transportation, Federal Administration Administration, Eastern Region, gave him a Certificate of Appreciation in recognition of 65 years of distinction as an aviator.